A Travel Guide to the Evangelical Creation Debates: What is Old Earth Creationism? Introductory Note: This series of posts explores the world of “creationism” and the “creationists” who generally come under the large umbrella of the American Evangelical community. Within this world, significant debates are taking place regarding the matter of the world’s origins and how we address them as Christians. It is important to keep in mind, however, that the terms “creationism” and “creationists” do not refer primarily to the doctrine of creation and theologians who focus their study on the doctrine of creation. Nor do they refer primarily to scientists who study the world as scientists. Instead, they refer to positions and proposals that seek to reconcile or show the harmony between faith and science on the matter of origins. The reasons given for pursuing such harmony or synthesis are often evangelistic and pastoral. In some ways, they follow in the footsteps of theologians like Thomas Aquinas and Anselm who sought to synthesize the Christian faith and philosophy as an apologetic to Islam. As such, they seek to provide a similar apologetic, a kind of “theological-scientific synthesis” to demonstrate the reasonableness of believing the God of the Scriptures. In the introduction to this series, we briefly identified the three creationist camps engaged in these debates about the relationship between faith and science on the matter of origins. We briefly considered their assumptions and positions, along with some cautions to keep in mind as Lutherans. We will now consider the rise to prominence of these three camps, in chronological order. We begin with the oldest camp, those who call themselves Old Earth Creationists. Again, the following is a descriptive report of my encounters with them and observations of their positions and not a scholarly article. In drafting these posts, I have consulted with people from across the spectrum of these three camps and want to express my many thanks and appreciation for their reading of the posts and suggestions for improvement. My goal is to provide a fair description of the lay of the land. I hope it will be readily seen that the specific exegetical questions and issues here arise within a larger context about the need to reconcile faith and reason (whether it be rational philosophy or empirical science)—an assumption that Lutherans do not necessarily share. The evaluation of that context will take place in later posts. Old Earth Creationism, as a theological-scientific synthesis of the Bible and creation, predates Darwinian evolution by nearly half a century. Generally, those who call themselves Old Earth Creationists today oppose evolution. This distinguishes them from theistic evolutionists who also hold to an old earth. Those in this latter group do not refer to themselves as old earth creationists, but as evolutionary creationists. Old Earth Creationists seek to account for the age of the earth/universe within the scriptural record with a variety of theories that include the gap-hypothesis, the day-age hypothesis, the framework hypothesis, the pictorial-day hypothesis, and the analogical-day hypothesis. They often propose these as scenarios or hypotheses rather than dogmatic positions. The issue of animal pain and death is drawing more and more attention from theologians today as it raises a “theodicy” issue of natural theology alongside the issue of human evil. Animal death poses less of a challenge for gap theorists than it does for day-age theorists. In some cases, they may even attempt to develop a “creational model” as a form of “biblical science” (a helpful term used by Ronald Numbers) for doing actual scientific research. Of the three views mentioned in my introduction (Young Earth Creationists, Evolutionary Creationists, and Old Earth Creationists), I was the least familiar with Old Earth Creationists. Perhaps this is because they had not garnered the same level of attention in our circles as Young Earth Creationists (e.g., Answers in Genesis) or Evolutionary Creationists (e.g., Biologos). As a result of my unfamiliarity, I was not aware of the difference between them and theistic evolutionists. Moreover, since evolution requires immense periods of time, it may seem that there is no reason to hold to an old earth view other than to accommodate some form of theistic evolution. I was mistaken in that assumption. Most (if not all) in this particular camp within Evangelicalism consistently reject evolution. As a result, when encountering those who believe that the earth is very old, I believe it is a serious mistake to conclude that they are simply trying to make room for evolution. Some Christians may hold that the earth is very old because of geological studies (as in the early nineteenth century) or that the universe is very old because of astronomical evidence, including distance to stars measured in light years (as in the twentieth century). Today’s Old Earth Creationism traces its roots to the early nineteenth century predating Charles Darwin’s Origin of the Species (1859) by nearly half a century. Although Darwin’s theory of evolution by natural selection necessarily presupposes immense periods of time, the scientific notion of an “old earth” was not a by-product of Darwin’s theory; it arose independently and much earlier in the context of geological studies. The seventeenth-century Danish scientist and bishop, Nicholas Steno (1638–1686) first set forth the principles of geological stratification. James Hutton (1726–1797) argued in “Theory of the Earth” (1785) that rocks originated through volcanic activity and then were gradually shaped by wind and water erosion over immense periods of time. William “Strata” Smith established the principle of faunal succession by examining fossils in strata around England and developing a map for them. Georges Cuvier (1769–1832) proposed a series of catastrophes to explain faunal extinction and succession. As a result of the developing field of geology, Ronald Numbers notes that by the end of the nineteenth century, “even the most conservative Christian apologists readily conceded that the Bible allowed for an ancient earth and pre-Edenic life.” Several models or theories arose to reconcile the findings of geology with Scripture. My own opinion, as published in 1814, is that it [Genesis 1:1] forms no part of the first day but refers to a period of indefinite antiquity when God created the worlds out of nothing. The commencement of the first day’s week I hold to be the moving of God’s Spirit upon the face of the waters. We can allow geology the amplest time…without infringing even on the literalities of the Mosaic record…. One version of the gap theory speculates that the reference to the earth as formless and empty in Genesis 1:2 refers to the aftermath of some form of cataclysmic event. G. H. Pember, a theologian with the Plymouth Brethren, in his book Earth’s Earliest Ages (1876), argued that God did not create the earth formless and void. Instead, it became that way as the result of God’s judgment and destruction of the world following Satan’s rebellion. Then, in Genesis 1:3, God begins to create anew the present world. Sometimes this is referred to as the “ruin and restoration” model. The acceptance and popularity of the gap theory among Fundamentalists may be attributed in large part to the influence of Cyrus Scofield, who is best known for promoting a millennialistic reading of the Scriptures in his well-known Scofield Reference Bible (1917). Jeremiah 4:23-27; Isaiah 24:1; 45:18 clearly indicate that the earth had undergone a cataclysmic change as the result of divine judgment. The face of the earth bears everywhere the marks of such a catastrophe. There are not wanting imitations which connect it with a previous testing and fall of angels. Harry Rimmer, a Presbyterian minister who relied heavily on the Scofield Bible, was a popular and winsome speaker who helped to establish “the gap theory as the dominant view of origins among pre-World War II fundamentalists.” His son once quipped, “Dad never won the argument; he always won the audience.” By the 1950s, however, the gap theory faded in popularity. A second model known as the day-age theory rose to prominence in the late nineteenth and early twentieth century. In the late nineteenth century, Arnold Guyot sought to harmonize science and Scripture by interpreting “days” as “epochs in cosmic history” to “correlate the earth’s physical, geological, and biological development with the sequence of creative events sketched by Moses.” In his book, Creation; or, The Biblical Cosmogony in the Light of Modern Science (1884), he insisted on the special creation of “matter, life, and humans” but allowed for some development for which he might be described today as a “progressive creationist.” His scheme was popularized by a Canadian geologist, John William Dawson, who became the most frequently cited anti-evolutionist in the late nineteenth century. Another popular champion in the fight against evolution was the Southern Baptist William Bell Riley who became known as “The Grand Old Man of Fundamentalism.” He founded the Anti-Evolution League of America and the World Christian Fundamentals Association. Riley, as Edward Davis notes, once stated that he could not identify a single “intelligent fundamentalist who claims that the earth was made six thousand years ago.” Following Guyot and Dawson, he also held to a “day-age” theory for Genesis 1. Since the latter decades of the twentieth century, several other models have been proposed for reconciling the perceived conflict between science’s observations that the earth and the universe are very old with Scripture’s portrayal of a much younger earth. To some of those we now turn. A good overview of the rise of geological studies and how it shaped both our aesthetic imagination and raised theological questions can be found in an eye-opening work by Marjorie Nicholson entitled, Mountain Gloom and Mountain Glory: The Development of the Aesthetics of the Infinite (New York: Norton & Co., 1959). In my opinion, the standard work for the development of creationism in the twentieth century is Ronald L. Numbers, The Creationists: From Scientific Creationism to Intelligent Design, Expanded Edition (Harvard University Press, 2006). See also Creationism in Twentieth-Century America, 10 volumes, Ronald L. Numbers, general editor (Hamden, CT: Garland Publishing, 1995). Who are the Old Earth Creationists Today? Although the gap theory was popular in the nineteenth and early twentieth centuries, it has been largely superseded by other views. I perceive that the major players these days tend to hold either to the day-age or literary framework approach (websites in this section last accessed Jan. 24, 2018). The Christian Research Institute (CRI) was founded in 1960 by the late Dr. Walter Martin, who is best known in our circles for his writing on cults and non-Christian religious groups or organizations (https://www.equip.org/about/our-history/). Hank Hanegraaff, best known as the “Bible Answer Man,” is currently president of CRI. CRI works from the foundation of the Nicene Creed and deals with a wide range of apologetics issues (https://www.equip.org/about/our-beliefs/). Reasons to Believe (RTB) was founded in 1986 by Hugh Ross, who holds a PhD in astronomy from the University of Toronto. After receiving his PhD, he spent several years as a postdoctoral fellow at the California Institute of Technology conducting research on quasars and galaxies. It was in part due to his studies of Big Bang cosmology that convinced him of the creator’s existence and led him to found RTB in order to “to bring scientific evidence for Christianity to light” (http://reasons.org/about/hugh-ross). Discovery Institute (Intelligent Design) was founded in 1991 by Bruce Chapman and George Gilder. It conducts research into a wide range of topics, including the design of the universe. It’s primary focus is on “the role that science and technology play in our culture and how they can advance free markets, illuminate public policy and support the theistic foundations of the West.” (https://www.discovery.org/about). They believe that “the Judeo-Christian culture has established the rule of law, codified respect for human rights and conceived constitutional democracy. It has engendered development of science and technology, as well as economic creativity and innovation” (https://www.discovery.org/about/mission). They are not necessarily a Christian organization, and it could be argued that they are more deistic in their position. In some respects, they are the spiritual heirs of the early nineteenth-century watchmaker analogy promoted by William Paley. Nevertheless, a number of Old Earth Creationists also contribute to the Intelligent Design movement, and so I include them here. Ronald Numbers has a good chapter on the ID movement (pp. 373-397). In addition to these organizations or movements, we should include two of the most scientifically accomplished old earth scientists. These include Jim Tour, an internationally leading chemist at Rice University, and Henry “Fritz” Schaefer III, a chemist at University of Georgia. Tour is known for his position against evolution and his explanation that the origin of life seems very unlikely to have come about from natural causes. What are Their Views on Scripture? Old Earth Creationists generally have a high view of Scripture that often includes strong statements on its inerrancy (websites in this section last accessed Jan. 24, 2018). RTB holds to an “error-free Bible” or “100% without error“ (http://reasons.org/about/creation-model-approach). Again, “We believe the Bible (the 66 books of the Old and New Testaments) is the Word of God, written. As a ‘God-breathed’ revelation, it is thus verbally inspired and completely without error (historically, scientifically, morally, and spiritually) in its original writings…. The Bible is therefore our supreme and final authority in all matters that it addresses” (http://reasons.org/about). The RTB also affirms the Chicago Statements on Biblical Inerrancy. CRI offers a more nuanced statement. “First, we believe in the authority of Scripture, which is another way of saying that the Bible is God’s inspired, infallible, and inerrant Word. It’s the ultimate source for knowledge about God, as well as the definitive guide for our daily lives.” It also takes a more nuanced view on the canon: “The Hebrew Scriptures along with the Greek New Testament constitute the Christian canon (meaning ‘standard of measurement’). While inspiration provides the divine authority for the Scriptures (2 Timothy 3:16), canonization provides human acknowledgment of that authority” (https://www.equip.org/about/the-essentials/). CRI published an article by William Dembski of Intelligent Design fame, who states bluntly, “I am a biblical inerrantist, accepting the full verbal inspiration of the Bible and the conventional authorship of the books of the Bible. Thus, in particular, I accept Mosaic authorship of Genesis (and of the entire Pentateuch) and reject the documentary hypothesis” (http://www.equip.org/article/old-earth-creationism-and-the-fall/). What are Their Views on the Age of the Earth? Old Earth Creationists appear committed to a close reading of Scripture; if Scripture does not speak on a particular scientific issue, then one is free to hold to the scientific consensus on that issue—including the conclusion that we live in a very old universe (websites in this section last accessed Jan. 24, 2018). CRI’s Hank Hanegraaff states that old earth creationism refers “to a range of Christian creationist views…that hold in common the inspiration and inerrancy of Scripture but also hold that the Bible is silent on the age of the universe and the age of the earth” [emphasis added]. He continues,”Thus, for that data we must look to the book of nature. I do not categorize Darwinian theistic evolutionism (aka evolutionary creationism) within old-earth creationism” [emphasis added] (http://www.equip.org/bible_answers/creation-answer-book-glossary/). For this reason, old earth creationists are willing to go along with the geological findings that ascribe an age to the earth of over four billion years and astronomy that dates the universe to nearly 15 billion years old. At the same time, they reject theistic evolution since the Bible specifically speaks of the special creation of humans. In connection with the age of the universe, a corollary question arises: is it possible that the universe just looks old and that God created a mature universe? Hanegraaff answers “no” (“Did God Create His Handiwork with the Appearance of Age?”) and does so on both biblical and scientific grounds. On biblical grounds, he states that we should adhere to the principle of being silent where Scripture is silent. We should note that the Bible doesn’t answer the age question. Some say Adam was created with the appearance of age. In reality, we simply do not know. Was Adam created with calluses on his feet? Did he have a belly button? Was he fashioned replete with childhood memories? One would think not, but the Bible simply doesn’t say. the notion that God created His handiwork with the appearance of age is logically unfalsifiable. In other words, you can neither prove it nor disprove it. For example, how could you falsify the notion that you were created five seconds ago and your recollection of the previous paragraph is just an implanted memory? Consider an observable astronomical event such as Supernova 1987a—with an identifiable “before” and “after.” Prior to 1987 this supernova was a star in a distant galaxy 168,000 light years away. On February 23, 1987, however, the star exploded, becoming a supernova. In other words, 168,000 years ago the star exploded and in 1987 the light of that event finally reached Earth—unless, of course, God created the universe 6,000 years ago. Then the supernova would be like a documentary film of an event that never really happened. In sum, he concludes that the notion that the universe is not authentically old but merely manifests the appearance of age creates more problems than it solves (https://www.equip.org/article/ten-urgent-questions-and-answers-about-origins/). How do Old Earth Creationists Interpret Genesis 1? Generally, they propose several scenarios to take into account long periods of time within the Genesis account of creation. Even though they offer exegetical arguments for each, they do not insist on a dogmatic acceptance of one or the other views. The Presbyterian Church in America (PCA) report on creation notes that these “various views have been able to co-exist within the category of old earth creationism.” For example, RTB holds to the day-age view but are willing to grant “sister” status to the framework and analogical views (websites in this section last accessed Jan. 24, 2018). Day-Age Hypothesis: RTB promotes the “day-age” model in which they interpret the word “day” (yom) in Genesis 1 as something other than a 24-hour calendar day. Ross argues that the “Hebrew word for ‘day’ has three literal definitions: 12 hours, 24 hours, or a long time period” (http://reasons.org/about/faq). He also contends that “day” means something more than 24 hours as, for example, in the case of Isaiah 11 which speaks of “in that day,” namely, “at that time.” In addition to this, he observes that while the first six days each have a phrase to mark the boundaries (evening and morning), such is not the case for the seventh day. The implication seems to be that that day continues beyond 24 hours (note Hebrews 4:1–11’s quotation of Psalm 95:11). Literary Framework Hypothesis: First proposed by Arie Noordzijof the University of Utrecht in 1924, more recently Meredith G. Kline has been influential in promoting it. This view proposes that the days of Genesis are to be understood topically as the week of Genesis 1 is organized into two groups of three days. During the first three days, God carves out spaces within creation and during the second three days God fills those spaces. Haanegraff of CRI (“Were the Genesis Creation Days Literal, Long, or Literary?”) suggests “that the seven days of creation are nonliteral, non-sequential but nonetheless historical.” Haanegraff acknowledges that the days of creation in Genesis are best understood as “normal solar days (especially with the reference to ‘morning’ and ‘evening’).” But he notes that Moses employs a literary framework by which those in a primarily oral culture not only hear God’s word, but through which God’s creative acts are imprinted on “the canvas of their consciousness” (https://www.equip.org/creationevolution/the-age-of-the-earth/). In other words, Moses’s purpose in describing creation in “solar days” was not so much to give us a chronology of creation as it was to provide a way to remember and recall “God’s creative prowess,” each day culminating “in his crown jewel,” the creation of humankind (https://www.equip.org/creationevolution/creation-chronos-vs-kairos/). An interesting variation of the day-age theory has been put forward by Gerald Schroeder, an Orthodox Jew who received his PhD in nuclear physics in 1965 from MIT. Relying upon his Hebrew training and Jewish commentaries, he proposed that the “world may be simultaneously young and old.” He argued that Orthodox Jewish commentaries maintained that the Bible has “two clocks” that spoke of time differently. One that looked forward from the first day of creation and another that began to look backwards commencing with the creation of Adam. Drawing liberally upon Einstein’s theory of relativity, he writes, “It so happens there are literally billions of locations in the universe, where if you could put a clock at that location, it would tick so slowly, that from our perspective (if we could last that long) 15 billion years would go by…but the clock at that remote location would tick out six days” (http://www.aish.com/print/?contentID=48951136&section=/ci/sam). Do Old Earth Creationists Reject Atheistic and Theistic Evolution? Although today’s Old Earth Creationists would seem to be natural allies of theistic evolutionists, it would be a mistake to draw such a conclusion (websites in this section last accessed Jan. 24, 2018). CRI: In a section entitled, “Can the Big Bang Be Harmonized with Genesis?” Haanegraff writes, “Finally, though evolutionists hold to Big Bang cosmology, the Big Bang does not presuppose biological evolution. In other words, Big Bang cosmology answers questions concerning the origin of the space-time continuum, as opposed to questions concerning the origin of biological life on earth.” He continues: “The finite nature of the universe—a universe measured only in billions of years not infinite time—is insufficient for the evolution of a protein molecule, much less a living cell” (italics added) (https://www.equip.org/article/ten-urgent-questions-and-answers-about-origins/). RTB: Fazal Rana wrote an article against the science of evolution, “Is Evolution Falsifiable?” He argues that “the evolutionary paradigm is unfalsifiable because of the stranglehold that methodological naturalism has on the operation of science” (http://reasons.org/explore/blogs/the-cells-design/read/the-cells-design/2016/10/05/q-a-is-evolution-falsifiable). ID: Is intelligent design theory incompatible with evolution? It depends on what one means by “evolution.” If one simply means “change over time,” or even that living things are related by common ancestry, then there is no inherent conflict between evolutionary theory and intelligent design theory. However, the dominant theory of evolution today is neo-Darwinism, which contends that evolution is driven by natural selection acting on random mutations, an unpredictable and purposeless process that “has no discernible direction or goal, including survival of a species” (2000 NABT Statement on Teaching Evolution). It is this specific claim made by neo-Darwinism that intelligent design theory directly challenges (https://www.discovery.org/id/faqs/). How Do Old Earth Creationists Speak about God’s Creative Work? Many of them suggest that God periodically intervened in a direct manner to create new species. Those who argue so are sometimes called “progressionist creationists” (websites in this section last accessed Jan. 24, 2018). RTB: Under the heading, “Does Reasons to Believe (RTB) teach creation or theistic evolution (supernaturally directed Darwinism)?” RTB states, “Hugh Ross has been on the frontier of making the biblical and scientific case against Darwinism for more than two decades. RTB scholars believe that God miraculously intervened throughout the history of the universe in various ways millions, possibly even billions, of times to create each and every new species of life on Earth” (http://reasons.org/about/faq). RTB: Lee Irons states, “Thus I would be comfortable with the label ‘old-earth, progressive creationist,’ although I hold to the framework interpretation of the days of Genesis rather than the more widely known day-age view” (http://reasons.org/explore/blogs/todays-new-reason-to-believe/read/tnrtb/2000/12/30/animal-death-before-the-fall-what-does-the-bible-say). CRI: In his glossary of terms, Haanegraff notes, “A form of old-earth creationism holding that God intervened in earth’s history to create new forms of life progressively over geological history as manifested in the fossil record. Generally, progressive creationists deny common descent” (italics added) (http://www.equip.org/bible_answers/creation-answer-book-glossary/). See also, “More Evidence of Mass Extinction Event Challenging Evolutionary Models” (http://reasons.org/explore/blogs/todays-new-reason-to-believe/read/todays-new-reason-to-believe/2016/09/19/more-evidence-of-mass-extinction-event-challenging-evolutionary-models), and Jeff Zweerink, “Controversy of the Ages” (http://reasons.org/explore/blogs/impact-events/read/impact-events/2017/10/13/controversy-of-the-ages). How do Old Earth Creationists Account for Animal Death? The question that confronts Old Earth Creationists is, how can one hold that creation was declared by God to be “very good” and also hold to animal death—which is not good—especially prior to the human fall? William Dembski puts it this way, “Given a young earth, natural evil need not be present in the world until after humanity’s fall. But given an old earth, natural evil must be widely prevalent before humans arrive on the scene. How then can the fall, which is due to the sin of humanity, be responsible for natural evil that predates humanity? That’s the million-dollar question that I seek to answer in The End of Christianity” (http://www.equip.org/article/old-earth-creationism-and-the-fall/) (websites in this section last accessed Jan. 24, 2018). Old Earth Creationists deal with the subject of animal death in several ways. Some will argue that the Bible explicitly speaks of human death as the result of a human fall but does not explicitly address the subject of animal death. Others will argue that all death—animal and human—is due to the fall of Adam and Eve and account for it in various ways. CRI contributor Dembski characterizes the above approach in this way: “Old-earth creationism has tended to sidestep this problem, arguing that natural evil prior to the fall is not really a problem because it isn’t morally significant. Accordingly, animal death and suffering are seen as morally neutral [italics added]…. This dismissal by old-earth creationism of natural evil prior to the fall, however, seems too easy. It’s not just that animals are painlessly passing into oblivion prior to the fall, but that they are dying excruciating deaths by disease, predation, and parasitism, among other things. Indeed, the ways animals have died and suffered in natural history exhibits a deep-seated malevolence” (http://www.equip.org/article/old-earth-creationism-and-the-fall/). Haanegraff also parts company with some old earth creationists on this point: “In my view, the literary framework interpretation most closely corresponds to reality—though I cannot abide animal death prior to the fall [italics added] as consistent with a ‘very good’ creation” (https://www.equip.org/article/ten-urgent-questions-and-answers-about-origins/). Second, other Old Earth Creationists agree with Young Earth Creationists that all death results “from the fall” of Adam and Eve. That is to say, humans are responsible for all death in the world. CRI’s Hanegraaff argues for the “federal headship” of Adam, namely, that “God chose the first man, Adam, to represent the entire human race such that on account of Adam’s sin, all of his descendants (i.e., all of us) are born spiritually dead in sin. Christ is the ‘second man’ who redeems all fallen humans who trust in him. As the apostle Paul put it, ‘For as in Adam all die, so in Christ all will be made alive’ (1 Corinthians 15:20–26; cf. Romans 5:12–21; Ephesians 2:1–5)” (http://www.equip.org/bible_answers/creation-answer-book-glossary/). Hanegraaff goes on to argue that Adam’s federal headship “extends beyond humanity to all of God’s creation—even the ground was cursed as a direct result of Adam’s rebellion. Not only so, but the present curse and the promised redemption extends beyond the ground to the very animals that walk upon it (e.g., Is 11:6–9; 65:25; Rv 21–22)” (http://www.equip.org/bible_answers/animal-suffering-consequence-adams-sin/). In other words, as the result of human sin the entire creation was subjected to “futility” and “corruption” (see Rom 8:19–23; cf. Gn 1:29–30; 9:1–4; Ps. 104:19–28). Thus, both Haanegraff and Dembski hold that animal death is not compatible with God’s good creation and that animal death is due to God’s judgment on human sin. But how can they account for animals suffering under that judgment of God before humans were created and before they sinned? William Dembski proposes an interesting solution. He suggests, “Just as the death and resurrection of Christ is responsible for the salvation of repentant people throughout all time, so the fall of humanity in the Garden of Eden is responsible for every natural evil throughout all time (future, present, past, and distant past preceding the fall).” William A. Dembski, The End of Christianity: Finding a Good God in an Evil World (Nashville: B and H, 2009) (https://www.equip.org/article/ten-urgent-questions-and-answers-about-origins/). Note: This post is intended to acquaint the reader with Old Earth Creationism as a theological-scientific synthesis among many Evangelicals. 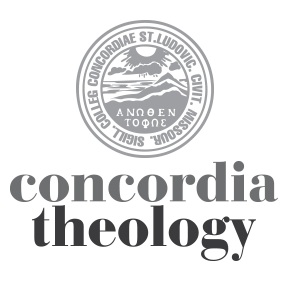 It is not an endorsement of it by myself or by the Concordia Seminary faculty. Theistic Evolution: A Scientific, Philosophical, and Theological Critique, ed. J. P. Moreland, et al. (Crossway Books, 2017). This massive 900-page book, whose authors consist of Old Earth Creationists and Intelligent Design proponents, is a comprehensive and sustained argument against theistic evolution. Old-Earth or Evolutionary Creation? Discussing Origins with Reasons to Believe and BioLogos, ed. Keneth Keathley, J. B. Stump, and Joe Aguirre (IVP Academic 2017). The Grand Canyon: Monument to an Ancient Earth: Can Noah’s Flood Explain the Grand Canyon? ed. Carol Hill, Gregg Davidson, Tim Helbe & Wayne Ranney (Kregel Publications, 2016). The Genesis Debate: Three Views on the Days of Creation, ed. David Hagopian (Crux Press, 2000). Paul Copan and William Lane Craig, Creation Out of Nothing: A Biblical, Philosophical, and Scientific Exploration (Baker Academic, 2004). Michael Behe, Darwin’s Black Box (1996; 2nd edition Free Press 2006). Behe introduces the term “irreducible complexity” against evolution. William A. Dembski, The End of Christianity: Finding a Good God in an Evil World (B and H, 2009). Dembski also put forward the term phrase “specified complexity” against evolution. Theodore Cabal and Peter Rasor II, Controversy of the Ages: Why Christians Should Not Divide Over the Age of the Earth (Weaver Book Company, 2017). Davis A. Young, The Bible, Rocks and Time: Geological Evidence for the Age of the Earth (IVP Academic, 2008). Ronald L. Numbers, Creationism in Twentieth-Century America (Hamden, CT: Garland Publishing, 1995), 37. See Simon Winchester, The Map that Changed the World: William Smith and the Birth of Modern Geology (Harper Perennial, 2009). Russell R. Bixler, Earth, Fire, and Sea: The Untold Drama of Creation (Pittsburgh: Baldwin Press, 1986), 86–87. Numbers, 87. Note the title of his book, The Harmony of Science and Scripture, 12th ed. (Eerdmans, 1947). What we call “Fundamentalism” today was a movement launched by a series of pamphlets, the Fundamentals, in the early twentieth century. This series sought to highlight the fundamentals of the Christian faith over and against the encroachment of higher criticism. In these pamphlets, authors rejected evolution while allowing for an old age of the earth. For Day-Age views, see “Report of the Creation Study Committee” (PCA 2000), 2331–2342. See “Report of the Creation Study Committee” (PCA 2000), 2332. “Report of the Creation Study Committee” (PCA 2000), 2342–2348. Meredith G. Kline, “Space and Time in the Genesis Cosmogony,” Perspectives on Science and Christian Faith 48 (March 1996) (http://www.asa3.org/ASA/PSCF/1996/PSCF3-96Kline.html). For a Lutheran take on Meredith Kline, see Walter R. Roehrs, “The Creation Account of Genesis,” Concordia Theology Monthly (May 1965): 301–321. See also Gordon J. Wenham, Genesis 1–15 (Waco, TX: Word Books, 1987), 39–40. “Report of the Creation Study Committee” (PCA 2000), 2348–2353. “Report of the Creation Study Committee” (PCA 2000), 2348-49.